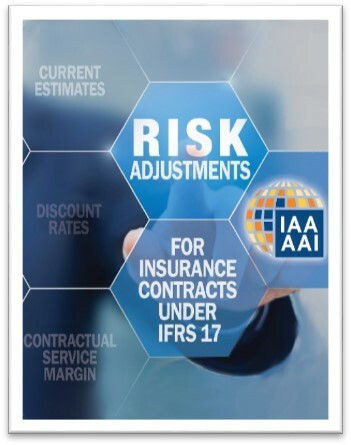 The International Actuarial Association (IAA) is pleased to announce the publication of our Educational Monograph on Risk Adjustments for Insurance Contracts Under IFRS 17. In May 2017, the International Financial Reporting Standard 17 (IFRS 17) — Insurance Contracts, was released, with an implementation date of January 1st, 2021. The measurement model within IFRS 17 was designed to include explicit provision for non-financial uncertainties of cash flows in the form of a risk adjustment for non-financial risk. The objective of this monograph is to address the educational needs of practitioners in the insurance field who are involved in the preparation and auditing of financial statements under IFRS 17. While a substantial amount of actuarial literature is available for various applications of risk margins, much of that material is not directly applicable to the specific needs of IFRS 17. This monograph addresses this need by providing a focused source of technical education material as IFRS 17 comes into effect. While IFRS 17 does not specify how the objective of setting an appropriate risk adjustment should be achieved, this monograph provides descriptions and illustrative examples of techniques that could be applied in the risk adjustment calculation for various types of insurance contracts. While specific practice guidance or interpretations regarding IFRS 17 will come from other sources, this monograph will help educate and assist practitioners as practices emerge. This monograph forms an important part of the IAA’s research and educational objectives, to facilitate and provide useful educational material that is accessible to actuaries everywhere. It will be complemented by a model International Actuarial Standard of Practice and an International Actuarial Note, both of which are currently under development. In addition to their financial support, these organizations appointed representatives who have provided technical guidance and ongoing monitoring of the project as members of the ad hoc Project Oversight Group created to oversee the project. Other members include the leadership of the IAA committees on Insurance Accounting and Insurance Regulation. The authors are from a team of professionals from Deloitte. The International Actuarial Association’s Social Security Committee (SSC) is pleased to announce the publication of the paper Measuring and Reporting Actuarial Obligations of Social Security Systems<https://www.actuaries.org/CTTEES_SOCSEC/Papers/AOofSSS_FinalFormatted_27March2018.pdf>. Social security arrangements, particularly social security retirement systems (SSRSs), are founded through legislation and generally very important, both in sheer size and to their many stakeholders. Actuarial measurement of and reporting on their current and expected future financial status are crucial inputs to a proper understanding of their sustainability (their ability to fulfil current promises to pay benefits to people over the long term) and how they affect the finances of the government as a whole and the entire economy as measured in national accounts. This principles-based paper presents the SSC’s perspectives on measurement and reporting of actuarial obligations of SSRSs and emphasizes the importance of relevant disclosures. • Encourages the involvement of qualified actuaries in performing actuarial calculations. The paper is available on the IAA website under PUBLICATIONS/PAPERS<https://www.actuaries.org/index.cfm?lang=EN&DSP=PUBLICATIONS&ACT=PAPERS>. This activity supports the IAA’s mission to promote the role, reputation and recognition of the actuarial profession. Further, it contributes towards achieving the IAA’s strategic objectives to provide relevant supranational organizations with actuarial input on matters of importance; to facilitate the coordination, use and expansion of the scientific knowledge and skills of the actuarial profession; and, to help enhance the scope, availability, and quality of actuarial services offered by individual members of its member associations. The International Actuarial Association is the worldwide association of professional actuarial associations, with a number of special-interest sections for individual actuaries. Founded in 1895, the IAA exists to encourage the development of a global actuarial profession that is acknowledged as technically competent and professionally reliable, ensuring that the public interest is served. The IAA has 73 Full Member Associations, representing 98 percent of qualified actuaries worldwide, and 25 Associate Member Associations. [cid:image005.jpg@01D352E4.6E5A7740]All three organisations recognise the need to develop actuarial skills in supervisors, particularly those from emerging market and developing economies. Actuarial skills are essential to the prudential supervision of insurers in such matters as determining and managing policy liabilities, setting appropriate premiums and managing capital requirements. This skill set provides support for enterprise-wide risk management in financial services and more widely for long-term policyholder protection. To view the executed agreement, please click here<https://www.iaisweb.org/page/supervisory-material/implementation-and-capacity-building>. Please click here<http://www.actuaries.org/index.cfm?lang=EN&DSP=ABOUT&ACT=MEMBERSHIP> to learn more about membership of the IAA, or contact the Secretariat<mailto:secretariat@actuaries.org>. На следующей неделе с 18 до 23 апреля 2017 года пройдет очередной Съезд Международной актуарной ассоциации (МАА). В этот раз повестка Съезда расширена тремя дополнительными мероприятиями. 18 апреля подкомитет по Евразии и Ближнему Востоку проведет семинар для актуарных ассоциаций региона. Основная задача семинара – оказать содействие в развитии актуарных ассоциаций, относительно недавно получивших звание действительного члена МАА. В тот же день семинар по вопросам продолжительности жизни и старения населения соберет весь цвет профессионалов этой предметной области. Эрмано Питакко (Ermanno Pitacco), Брайан Ридсдейл (Brian Ridsdale), Сэм Гуттерман (Sam Gutterman), Саймон Бримблекомб (Simon Brimblecombe), Эл Клейн (Al Klein), Ася Биллиг (Assia Billig), Мартин Стевенсон (Martin Stevenson), Эндрю Кеирнс (Andrew Cairns), Гула Хорват (Gyula Horváth) сделают доклады по различным направлениям исследований. Программа семинара доступна по ссылке http://www.actuaries.org/CTTEES_TFM/Documents/Budapest_April2017/Seminar_18April2017/Program_AgingMoralitySeminar_Budapest.pdf. В заключительный день Съезда пройдет заседание Круглого стола по формированию актуарных стандартов (Standard Setters Round Table – SSRT), в который входят делегаты стран, где существуют официально признанные процессы создания актуарных стандартов. Мероприятие в Будапеште характеризуется активным участием представителей российской актуарной профессии. Активность наших коллег заметно повысилась после успешного проведения Съезда МАА в Санкт Петербурге в 2016 году, который организовывался по приглашению Гильдии актуариев. Семинар для актуариев Евразии и Ближнего Востока организован в рамках возглавляемого Владимиром Новиковым подкомитета. Георгий Белянкин, Алексей Аржанов, Арсений Тимаков участвуют в заседаниях своих профильных комитетов. Ксения Новикова как руководитель подкомитета по маркетингу рабочей группы по смертности сделала много для успеха семинара по вопросам долголетия и старения населения. Ирина Мельникова выступит с докладом на заседании SSRT. Следует отметить, что получившая на Съезде в Санкт Петербурге статус ассоциированного члена Ассоциация Профессиональных актуариев также направляет на мероприятие двух делегатов, что несомненно поможет им продвигаться по пути полноценного международного признания в будущем. At the Council meeting in Cape Town, the Actuarial Profession Brand Statement <http://www.actuaries.org/ABOUT/Documents/Actuarial_Profession_Brand_Statement.pdf> and Brand Policy <http://www.actuaries.org/ABOUT/Documents/Branding_Policy.pdf> were presented, and later approved by Council in February 2017. As part of this exercise, and described in Peter Doyle <http://www.actuaries.org/PRESIDENTS/Documents/CapeTown2/IAA_Brand_Doyle.pdf>’s presentation to the Presidents’ Forum, was the creation of a branding toolkit for smaller FMAs. A PDF version is attached and the original design files (in Adobe InDesign) can be downloaded here <https://www.dropbox.com/sh/30kskgjhxpoyoug/AACD-FDywwF-r-hAS-dyaPO2a?dl=0>. Please note that the ZIP file is 107MB. All of the embedded graphics have been purchased and are royalty-free. The template is free to use by all member associations and can be customized as required by adding your association logo, changing the graphics, text, language, case studies, etc. to fit your particular jurisdiction and/or audience. Content that can be used includes the typical roles of an actuary, fast facts, history of the actuarial profession, international footprint, skills required to be an actuary, value proposition, industry and work coverage, brand message statement, etc. 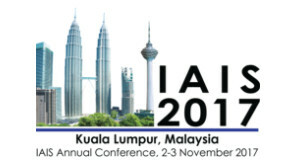 Additionally, at the request of several member associations, the IAA logo was embedded in the design files should you wish to make use of it to indicate that you are a member association of the IAA. Please let us know if you intend to make use of the template and/or if your association intends to translate the text. We will gladly host any translated versions on the IAA website so that other member associations may access them. Информируем Вас о том, что Рабочая группа по вопросам смертности (Mortality Working Group, MWG) Международной Актуарной Ассоциации (International Actuarial Association, IAA) опубликовала на сайте IAA материалы с заседания MWG, которое прошло в г. Кейптаун, Южная Африка, в ноябре 2016 г. Материалы содержат: MWG Update (краткое изложение заседания/деятельности MWG), Minutes (детальное изложение заседания/деятельности MWG), презентации. В случае возникновения вопросов, обращайтесь к Ксении Новиковой, члену Рабочей группы по вопросам смертности, представителю Российской Гильдии Актуариев: ksenia_ore@hotmail.com<mailto:ksenia_ore@hotmail.com> (нижнее подчеркивание после ksenia).